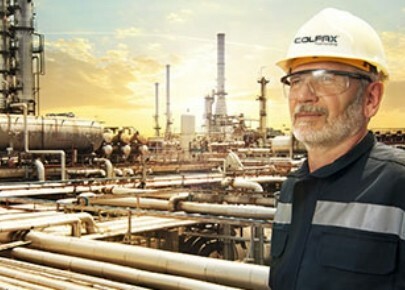 Colfax Corporation is a diversified global manufacturing and engineering company that provides gas- and fluid-handling and fabrication technology products and services to customers around the world under the Howden, Colfax Fluid Handling and ESAB brands. We are dedicated to creating an enduring premier global enterprise built on a unique business culture that does all things with integrity, respect and candor; has a deep commitment to excellence to associates and customers as its foundation; is known for consistent delivery of world-class performance. Colfax Fluid Handling is a world leader in the development, engineering, manufacturing, distribution, service and support of fluid handling systems. Immediate Performance Objectives Deliver the preparation of the budget and financial forecasts and report variances Financial planning and reporting of SSC operating expenses and headcounts Create accurate, transparent, and timely. Don’t miss job offers and news from ESAB - Colfax! Already 5 user(s) follow the company. COLFAX Global Business Services employs more than 250 people who provides business support in customer service, supply chain, finance and IT field. COLFAX offers complex and challenging jobs, a great work environment, competitive salary and opportunity to develop and implement promotion and training to work across all three platform ESAB, Howden and Colfax Fluid Handling. 1062 Budapest, Teréz krt 55-57.